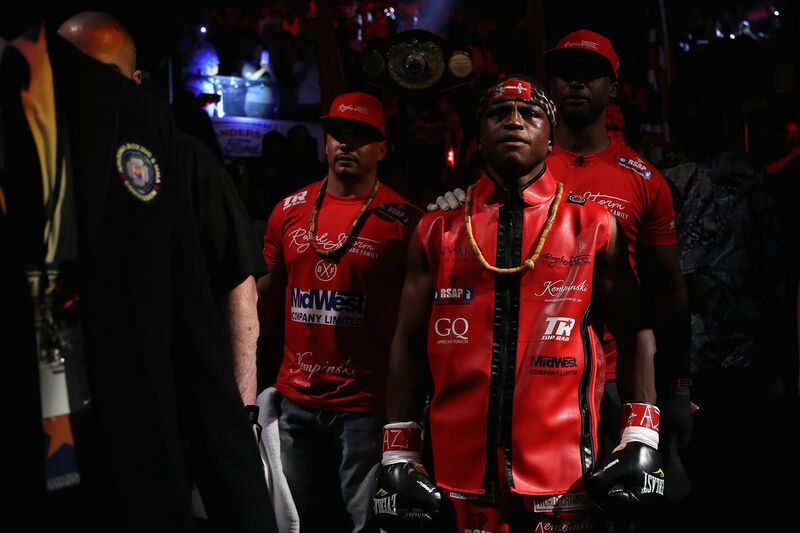 Two days after his win, I was still thinking about the way Isaac Dogboe did it, how he separated Hidenori Otake from his senses in an Arizona ring in Saturday night. With precision. With destructive intent. With an understanding that that is what the people want. Of course, skills pay the bills and we are not mere brutes, who cannot appreciate a multilingual methodology in the pugilism realm. That’s why, Dogboe told us in a phone chat with Everlast “TALKBOX,” he’s studied Azumah Nelson, Joe Frazier, and James Toney. To aid in his growth process, to augment the teachings of his father/trainer, Paul Dogboe. And more: we heard that the 23-year-old wants to unify at 122, then make the leap to 126. And he won’t stop there, the fighter told us. 1) I’ve been mightily impressed with his technique, first against Jessie Magdaleno, and then the Japanese vet. 2) He’s confident but not cocky. He told me he regrets overstepping bounds verbally in the pre-fight hype with Magdaleno. He lives an examined life and so I think it’s more than possible that his ceiling is that much higher, because he will work on deficiencies. And I learned more. Isaac is quite pleased to be affiliated with Top Rank and it sounds like he’s inclined to elongate their contract. Also, he is happy to be fighting on ESPN and wants to do more of that. Twice more this year, in fact. A date in October is possible with a follow up in December also likely. “I would have fought a week after my last win,” he told us. My three cents: Put him on your watch list, now. Dogboe is proving, yet again, that the sport is stronger than many give credit for, because the talent base is wider than assumed. From Ukraine, from Argentina, from Accra, Ghana, strong and proud beings with warrior blood are working on their craft, and that means a year from now, someone not on our radar screen will pop into view, announce themselves with explosive intensity. That intensity is synopsized in Dogboe’s signature war cry you may have heard him use: NeHo! It means, basically, anything in my path I promise to uproot. Expect that war cry and the pronunciation of Isaac’s last name to become very much more familiar to wider array of boxing fans moving forward.